I will be sharpening at the Palestine Gun Show. The Civic Center is the venue at 1819 North Spring Street, Palestine, Texas 75801. Show hours are Sat 9-5 & Sun 9-4. Admission is $7.00 with Free Parking. If in the area, I hope to see you there. Have a Happy Memorial Day! 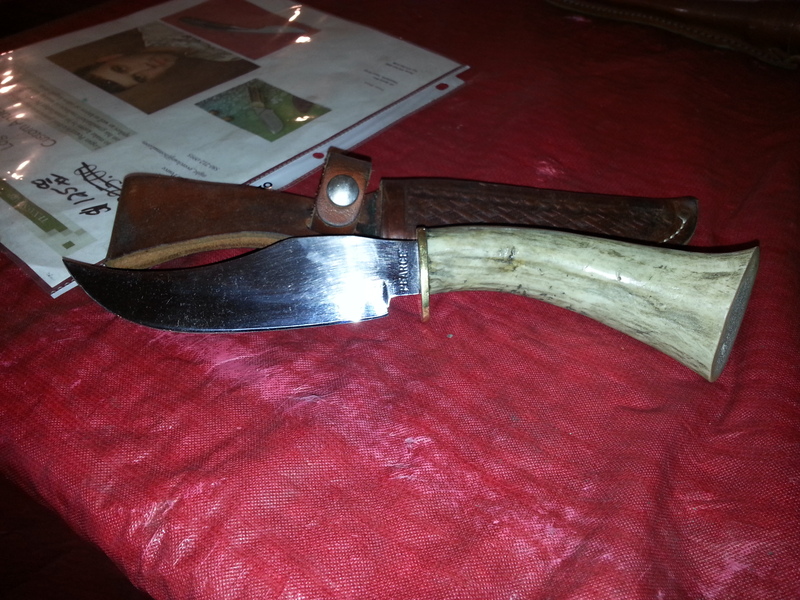 Great Logan Pierce Knife for sale. This entry was posted in Uncategorized and tagged custom knifemaker, custom knifemaking, gun show, guns, knife, knife buffing, knife making, knife repair, knife sharpening, knife show, knifemaking, knifesharpening, knives, sharpen. gun show. Bookmark the permalink.